Got freshly painted walls? Better keep your pup away from them. In a lot of ways, dogs are like toddlers –they use all of their senses to investigate the world around them, including taste. Dogs explore the world through smell, touch and taste, which means it’s likely that only occasionally you’ll catch your dog licking something that may harm her. And then some dogs take it to the next level. They lick everything in sight. Walls, floors, other pets, furniture, people — you name it, they’ve taste-tested it. If you’ve seen this behavior in your dog and wonder what the appeal is, we’ve laid out some reasons she may be a “licker” of certain things. Although it’s a nice thought, your dog is likely not trying to help you with housework. If she’s licking the carpet or floors, someone may have brought a scent in on their shoes (yep, like feces — dogs don’t think it smells gross, even if we do) or food. All of these things can cause stomach and digestive issues. In addition to using nontoxic cleansers to make your floors shine, try to distract your dog from licking the floors too much. Even if the floor smells interesting to her, it’s a safe bet she’ll find that treat in your hand much more fascinating. We all know that dogs will often lick themselves or other pets — and even their humans. Dogs may lick other pets out of affection as well. My German Shepherd would do this to my cat all the time, and both of them seemed to enjoy it. As a pet sitter, I see dogs licking other pets constantly — though I confess to being mildly grossed out that one of my charges has actually been consuming another’s eye boogers. 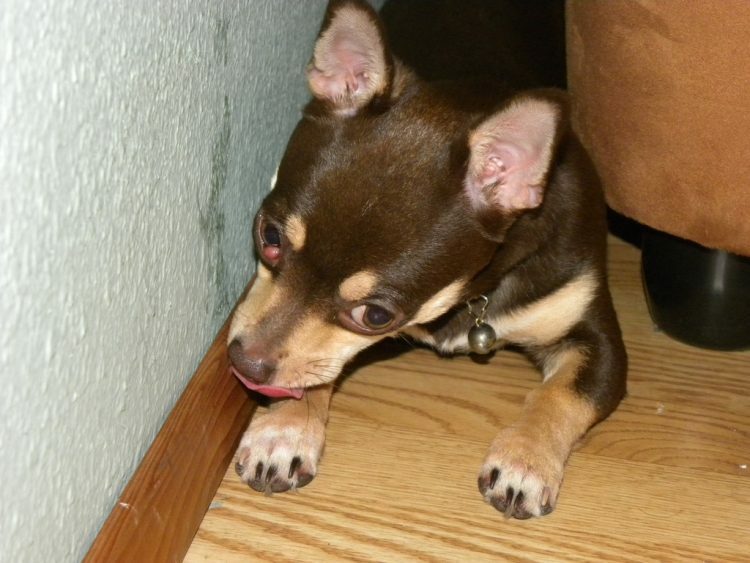 Occasionally dogs will obsess over licking new paint or plaster off the walls. As frustrating as this is for you, it’s even more dangerous for them. Prevention is the best cure. If you are painting or using solvents in your home, keep your dog away from that area until all materials are totally dry. If your dog continues to lick these surfaces, she may need a lifetime ban from these areas. 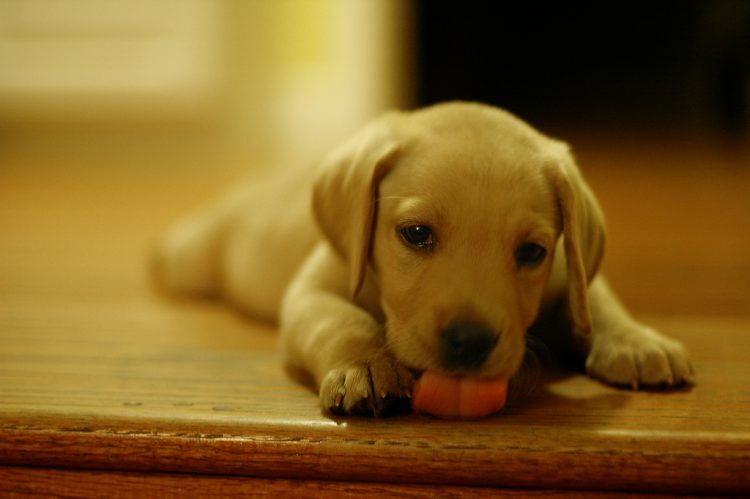 Dogs often lick themselves or other animals where an injury is present. This is extremely difficult behavior to curb simply because it’s instinctual. So there is a reason your dog licks her wounds, but with the effectiveness of today’s medicines, she’s better off in the Elizabethan collar (a.k.a. the “cone of shame”) — even if she doesn’t agree. These are just some of the things that dogs find appealing to lick. But if your dog is licking constantly and you are concerned, it never hurts to check in with the veterinarian.